The Sawgrass Players Club, home of the famous island green on the 17th hole of the Stadium course and site of the Players Championship, also contains the 18 hole Valley course at the TPC, along with the Ponte Vedra Golf & Tennis club. Offering a superb assortment of lifestyle choices and price ranges, this gated community located behind Sawgrass Village with entrances on both Solana Road and A1A, provides a bike path linking all the neighborhoods to each other and to the athletic fields, golf & tennis facilities as well as Sawgrass Village. With homes ranging from 1,079 square feet to 5,504 square feet. The Sawgrass Players Club is made up of 16 distinct neighborhoods including: Bridgewater Island, Bermuda Court, Cypress Bridge, Cypress Creek, Hammock Cove, Lake Side, North Cove, Oakbridge, Players Club Villas, Salt Creek, Sawgrass Island, Seven Mile Drive, Turtleback Crossing, Vicar’s Landing, Water Oak and Water’s Edge. Among these neighborhoods there are close to 2,000 Sawgrass homes and condominiums, including single-family homes, patio homes, traditional condominiums and retirement living units. Each of the 16 neighborhoods has a sub-association separate from the Sawgrass Player’s Club master association, including homeowners associations and boards of directors. The Sawgrass Players Club master association controls fees, repair and maintenance for the areas that all neighborhoods share, such as upkeep of roads, common areas and drainage. Each separate sub-association is responsible for these duties within the respective communities. In addition to the residential neighborhoods of the Sawgrass Players Club, within the gates you will find commercial properties such as the PGA TOUR headquarters, the TPC Stadium and Valley golf courses and the Ponte Vedra Golf and Country Club at Sawgrass. Outside of the gates but very near to the community there lies a variety of resources such as a Publix supermarket, CVS Pharmacy, shopping and boutiques, as well as fine and casual dining options. The appearance, expansion and maintenance of these properties within and close to the Sawgrass Players Club is tightly controlled in order to create a consistent architectural vision and feel to the community as well as to ensure that any changes are in the best interest of the community. The Marriot at Sawgrass resort is situated close to the gates and is subject to similar aesthetic standards. The wide range of neighborhoods in the Sawgrass Players Club is good news for anyone looking for homes for sale in Ponte Vedra Beach. Each neighborhood has its own distinct flavor, both through its architecture and the type of homeowner it tends to attract. Some neighborhoods feature large lots with expansive luxury estates, while others offer single-family homes with a modest yard that has easy upkeep and modern amenities within. The natural assets of the Sawgrass Players Club are innumerable and most are consistent from neighborhood to neighborhood. When strolling the generous streets, sidewalks and trails, you will be able to observe natural Florida flora and fauna in both forest and marsh settings. Water access varies from neighborhood to neighborhood, but vessels without engines such as kayaks are welcome in any of the communities’ many lakes, ponds and creeks. Fishing is welcomed. The Sawgrass Players Club is best known as the home of the TPC at Sawgrass Stadium course which features a breathtaking 17th hole that even non-golfers tend to recognize from the yearly Players Championship held each spring. 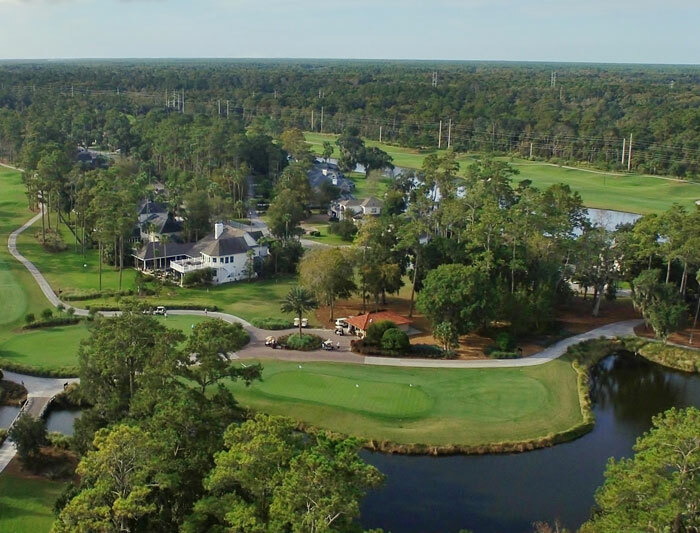 The weeks leading up to The Players Championship are always exciting in Ponte Vedra Beach and are particularly exciting for the residents of the Sawgrass Players Club. High profile golfers and celebrities can sometimes be spotted dining in locals’ favorite restaurants, and golf fans from around the world descend on the community that week to take in the sights. In addition to the impressive clubhouse at TPC Sawgrass, the Sawgrass Players Club community has access to many shared resources for community gatherings and family enjoyment. The Coves Pool, for example, is a large traditional pool open for family use 6 days a week (closed on Monday) with newly renovated bathrooms, lounge chairs and a picnic area. The Coves Pool also features a mini wading area for children who are too young to swim confidently. At the heart of the community is a large park and the PGA Tour Recreation Field, a great place for kids to work out some energy after school or during the summer. This facility features a modern playground, the “tot lot”, with plenty of outlets to keep kids busy like monkey bars, swings, slides and even a rock wall for older kids. The park also includes a huge public field that has been divided up for different sports with a softball field, soccer field, basketball court and sand volleyball court. Any residents are welcome to use each of these fields, but time on the field is limited to 90 minutes if there is another party waiting.